We strongly believe he future of efficient IT operations is dependent on a strong service. Automation platform and the ability to provide customers with an end-to-end service view. - Identity and Access Management – Centralize and automate your users' identity life cycle—creation, modification and deletion—and ensure that only authorized users can access your critical IT resources. Trifin’s belief is that technology is an enabler of your business and also of your security. Yet, an improper application of technology can result in a larger business risk, due to misplaced confidence in your solution. Since, your business is dynamic, unless your security is tuned to your business, it could get left behind as your business evolves. Conventionally, Enterprises engage with IT vendors to reduce costs, by transitioning non-core Enterprise activities to them. Such initiatives tend to be tactical with the engagement being strictly transactional between the service provider and the enterprise. The Mitel Enterprise Manager simplifies solution management by centralizing administration, minimizing repetitive tasks and automating many standard processes. 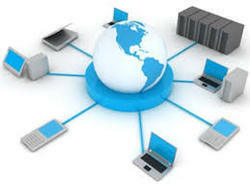 In addition, it allows access to multiple sites and systems from a single interface increasing staff productivity. Nac-Stock is a business accounting, inventory & invoicing software package. LegalCraft Enterprise Manager is the management application for the collaborative Transform system – Cases, Users and Groups are created and managed on the server providing secure access to cases from any web linked device (PC, MAC, iPad, Android etc) – security can be controlled to the document/transcript level controlling features such as search, view and annotation. At ESS, transforming complex IT environments into cohesive and cost-effective business empowering forces is our area of excellence. In association with a variety of global vendors, we deliver best in class solutions to businesses across a range of industries and geographies.